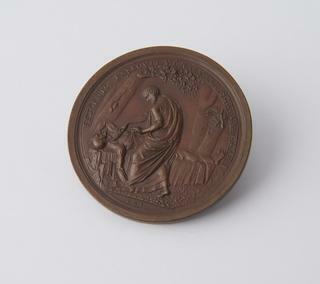 Bronze medal, awarded to John D. Comrie for anatomy by Edinburgh University, in leather presentation case, by Alexander Kirkwood and Son, Edinburgh, Scotland, 1895. Medal, bronze, to commemorate Giovanni Battista Morgagni, Italian anatomist, 1682-1771, by Tommaso Mercandetti, Italy, 1808. 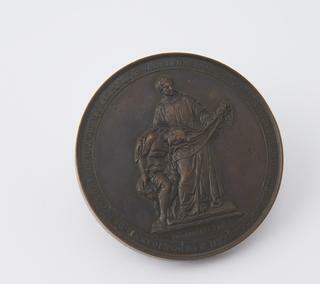 Bronze medal, struck to commemorate the death of C. A. Rudolphi, by artist Konig and by Loos, possibly Italian, 1832. Blackened bronze (?) 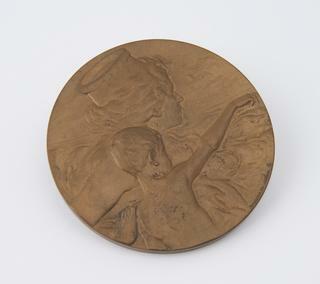 medal, to commemorate Johann Friedrich Blumenbach, German physiologist and anthropologist on 50th anniversary of his doctorate, by Heinrich Gube and Loos, Berlin, Germany, 1825. Medal, prize, silver, awarded to Mr. Richard Parnell, by A. J. Lisars, on behalf of the Medical School, Edinburgh, for practical anatomy, made by W. M., Scotland, 1834.